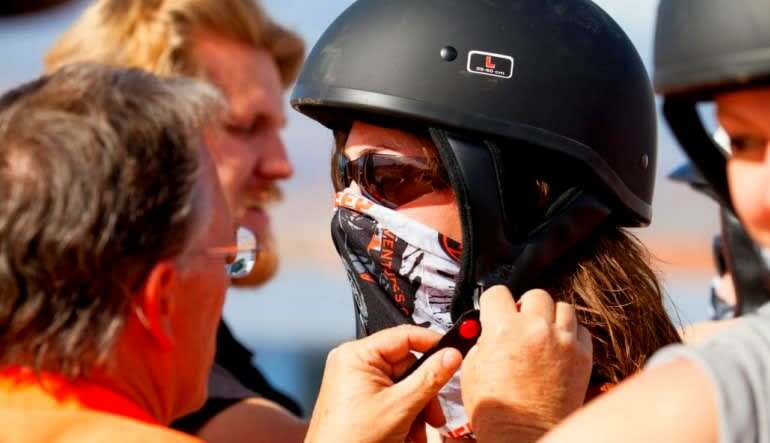 Take a UTV out for a fully-loaded guided tour of the red sand dunes in Southern Utah! You’ll ride mountains that reach up to 3,500 feet. You’ll travel into areas with surreal formations. 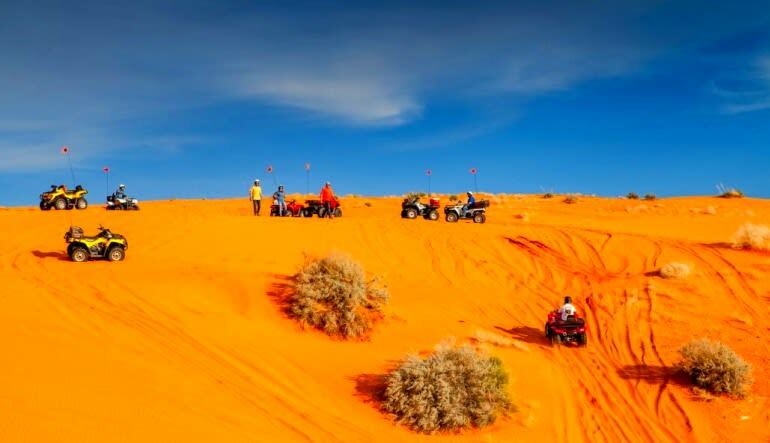 Take a UTV out for a fully-loaded guided tour of the red sand dunes in Southern Utah! You’ll ride mountains that reach up to 3,500 feet. You’ll travel into areas with surreal formations. 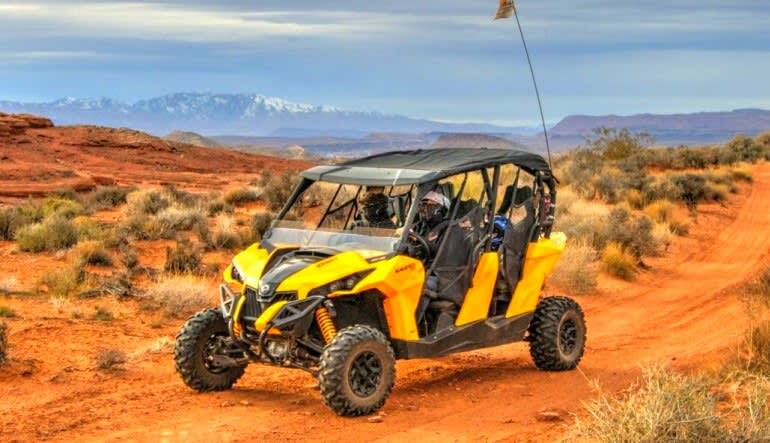 You’ll even get some time off your UTV, hiking and absorbing the scenery at a quieter pace. There’s even a picnic! Ride up a 3,500 mountain! Up top, be welcomed by unbeatable views and some of the wildest sand dunes in America! Ride down a box canyon that was once a hideout for outlaws. Take your UTV into an area marked by formations that take the shapes of dinosaurs, faces and all other kinds of craziness! Here’s where you hop off the UTV and enjoy the landscape by foot. Now’s the perfect opportunity to snap some photos! Enjoy a tasty picnic and chat with the group about all the incredible scenery you’ve encountered! 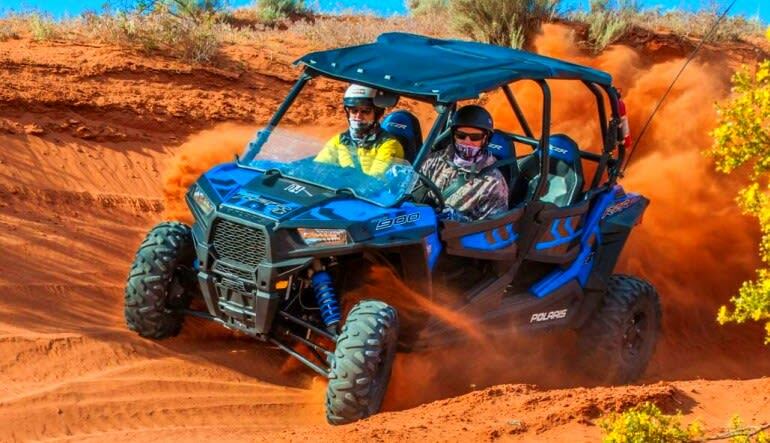 The full-day UTV ride covers close to 30 miles. 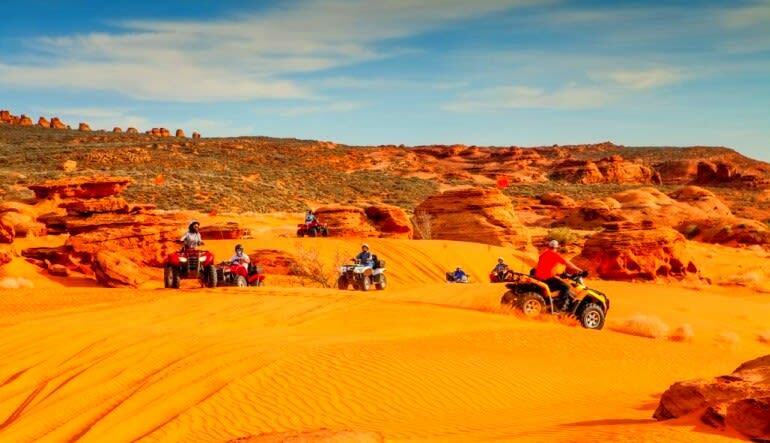 If the Southern Utah desert is a landscape you’ve always wanted to explore, you’ll be hard pressed to find an adventure better suited!